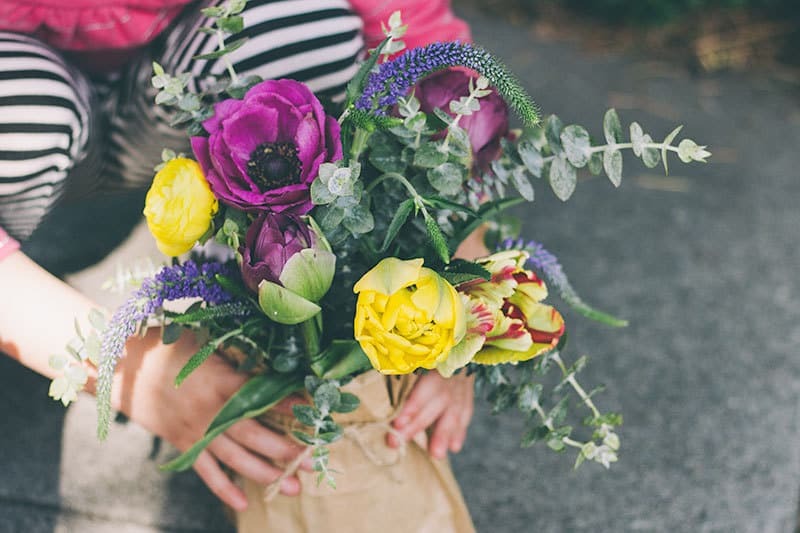 The other day Jaime’s SIL, Stevee told us about their family tradition of leaving small bouquets on their neighbors’ doorsteps for May Day (May 1st). I never had this tradition growing up, but I love it so much that I think I will adopt it now. 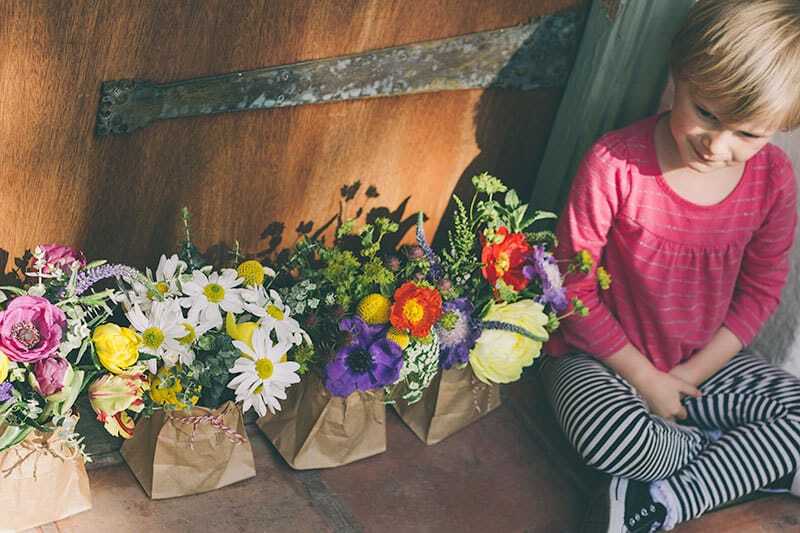 I went to my favorite flower shop, Glasswing Floral, and asked Greta if she could help me out with a couple of arrangements. 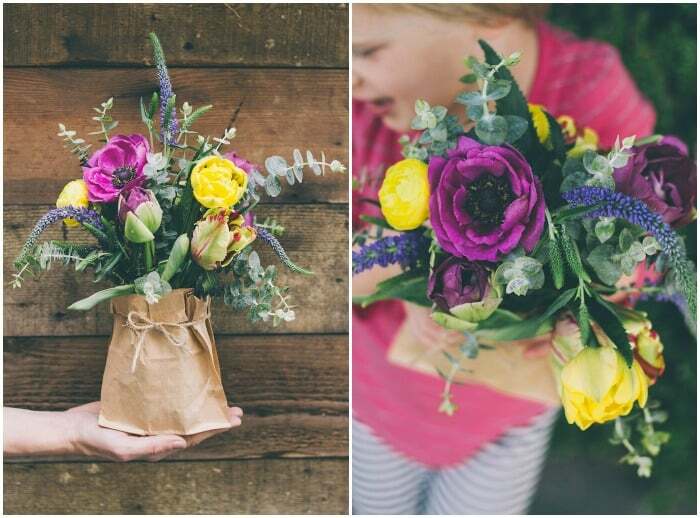 I was blown away (as I usually am) by the beautiful bouquets she created. They are perfectly bright for spring and so simple to put together. 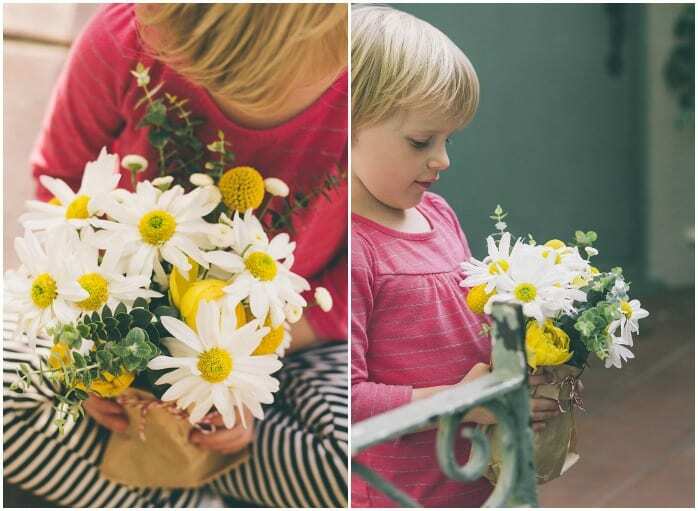 Today she will show you what flowers you need to recreate each bouquet on your own. I’m excited to share that you will be seeing more Glasswing Floral goodness here in the next couple of weeks. Spring is in the air! 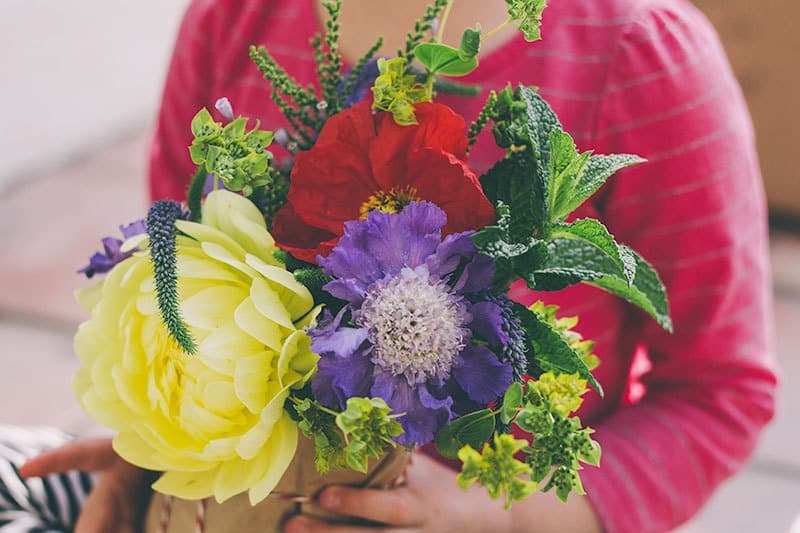 See more of Greta’s stunning arrangements by following Glasswing Floral on Facebook, Twitter, and Pinterest. 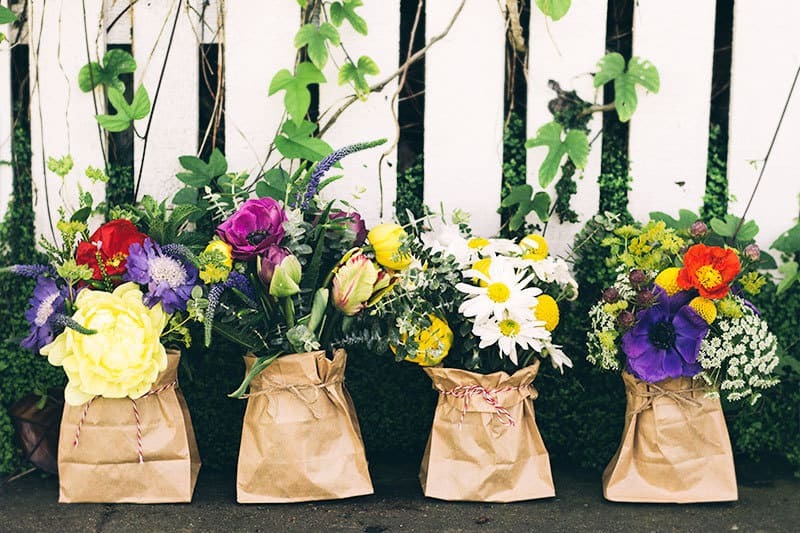 Add @GlasswingFloral on Instagram to fill your feed with beautiful blooms. My heart pretty much melted in a puddle in front of me when I saw her Easter bunny photoshoot. 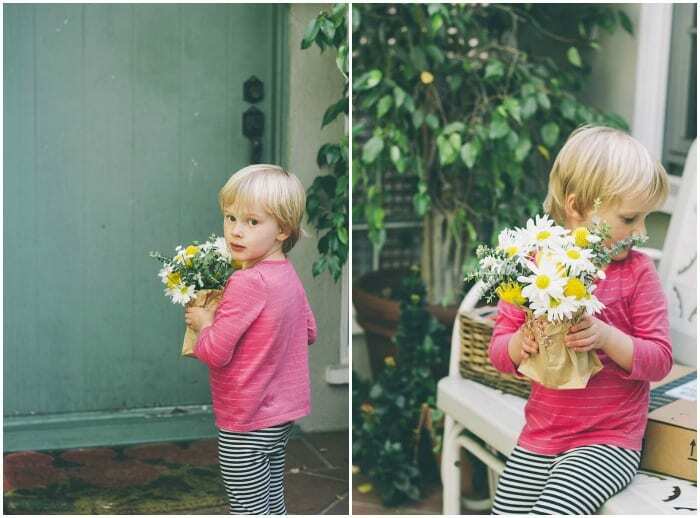 Riley and I got a head start on this May Day madness, and dropped some surprise bouquets off early. We may or may not have kept a couple for ourselves too. 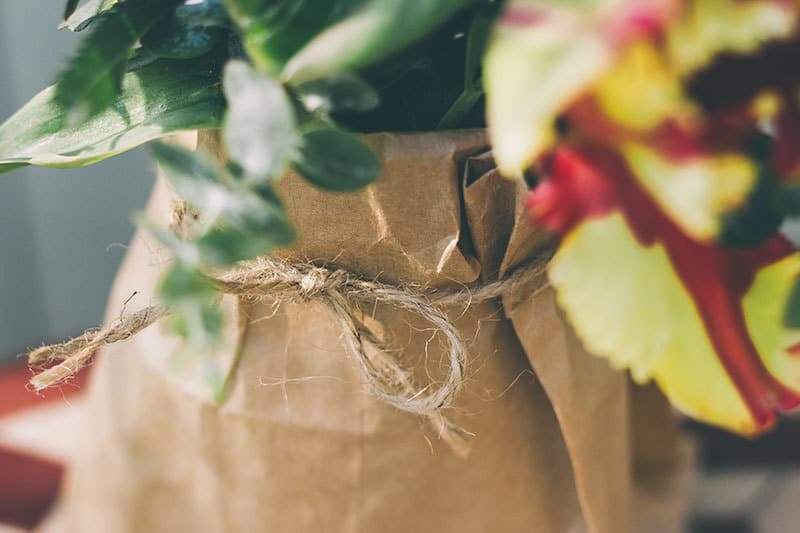 To make these vases you will need to fill a mason jar with water and set inside a brown paper bag. I think it would be cute to have the kids decorate the brown paper bags first. Finish the vase by wrapping it with a twine bow. Someone directed me to your blog to get instructions for a Boppy Cover. I can’t seem to find it. Is this the right place? There is a tutorial on Made by Rae. Search of nursing pillow cover tutorial. I forgot to check the notification box below since I’m not sure if I will see a reply. So I’m checking the box below about follow-up comments. I don’t believe we have that project although we have pretty much every sewing project for baby. Good luck! Is this a normal brown paper bag? It looks thicker than the kind in the grocery stores! Yes, it’s a normal paper bag from the grocery store, I just folded down the top a bit. These are the cutest! 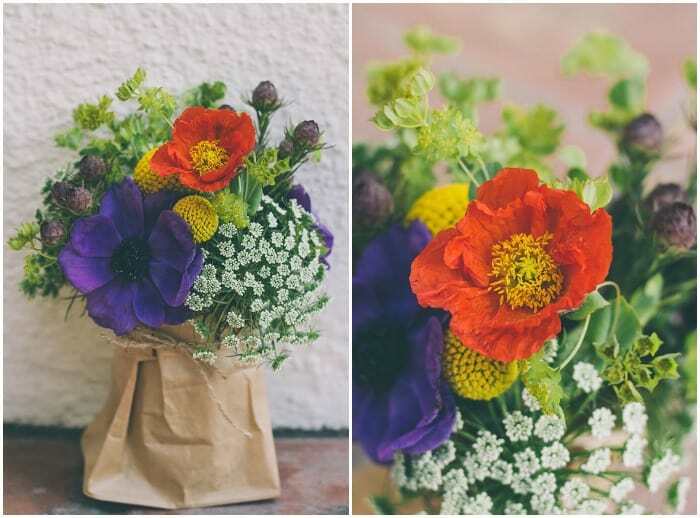 I am putting together a Mary’s garden affair at our church and I am definitely adding these little beauties to our table. Thank you!!! !